Barkerville Gold Mines Ltd. (TSXV: BGM) was recently ordered to pay $200,000 after pleading guilty, in Provincial Court of British Columbia, to violations under the Canadian Fisheries Act related to the Metal Mining Effluent Regulations. The fine was the result of routine inspections conducted by Environment and Climate Change Canada enforcement officers at the Cariboo gold mine in Central British Columbia. 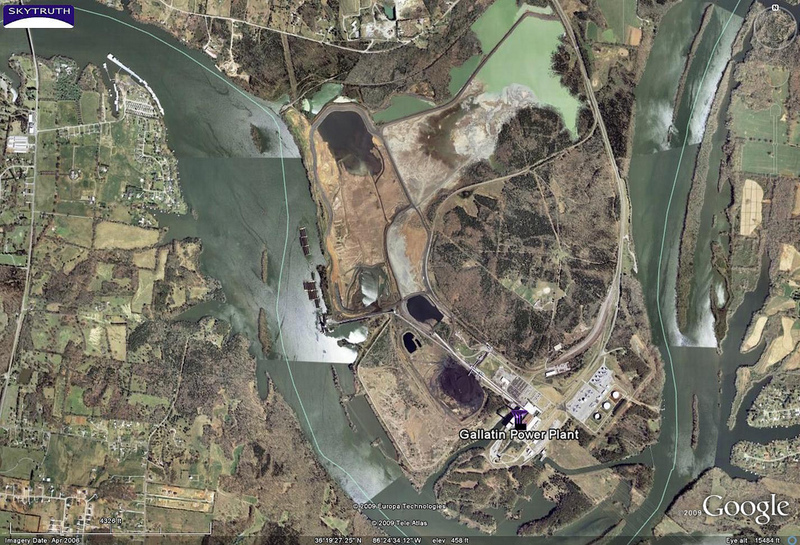 During inspections, it was revealed that the company failed to complete sampling, notify authorities of having deposited effluent into fish-bearing water without authorization, and submit reports on time. The effluent was deposited into Lowhee Creek, part of the Willow River system—an important fish-bearing watershed. The Metal Mining Effluent Regulations authorize deposits of effluent provided that conditions stipulated in the regulations are respected. About Barkerville Gold Mines Ltd. is focused on developing its extensive land package located in the historical Cariboo Mining District of central British Columbia. Barkerville’s mineral tenures cover 1,950 square kilometres along a strike length of 67 kilometres which includes several past producing hard rock mines of the historic Barkerville Gold Mining Camp near the town of Wells, British Columbia. On November 9, 2017, the Supreme Court of Canada granted the Alberta Energy Regulator and the Orphan Well Association’s request for leave to appeal from the decision in Grant Thornton Ltd. v. Alberta Energy Regulator, 2017 ABCA 124. 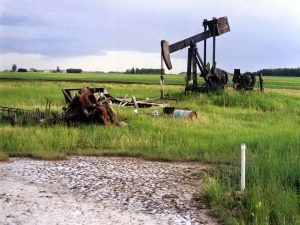 By granting leave, Canada’s highest court will weigh in on the Alberta Court of Appeal’s determination that secured creditors in a bankruptcy should be paid before environmental claims arising from abandoned oil and gas wells. As described in our previous blog post, on April 24, 2017, a majority of the Alberta Court of Appeal determined that certain sections of the Oil and Gas Conservation Act and Pipeline Act were inoperative to the extent that they conflicted with the Bankruptcy and Insolvency Act (BIA). Under the appellate decision, a bankruptcy trustee or receiver is not required to satisfy the environmental remediation obligations in priority to other creditors. On the other hand, the dissenting judgment noted concerns that the effect of the majority decision would be to create an incentive for corporations to avoid the end-of-life obligations of wells by using insolvency laws and shift the environmental remediation costs onto the public and other oil and gas producers. (a) Given the exclusive jurisdiction of provinces to regulate their natural resources, whether regulatory obligations created by provincial legislation conflict with or frustrate the scheme of priorities set out in the BIA? (b) Whether select provisions of the BIA enable a receiver or trustee to pick and choose which provincial laws it will comply with? (c) Are end-of-life obligations associated with oil and gas development also duties owed to the public? The Supreme Court granted a motion to expedite the appeal, and it will likely hear the appeal in the first half of 2018. 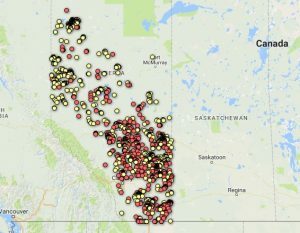 The Supreme Court’s decision is an opportunity for the court to clarify the interaction of federal insolvency laws with the province’s jurisdiction to regulate natural resources as well as whether the public and other oil and gas producers ought to bear the burden of environmental remediation. The decision will have significant implications for the oil and gas industry, lenders, and regulators across the country. We will continue to provide updates on the status of the hearing as it becomes available. This article was originally published on the Baker McKenzie website. 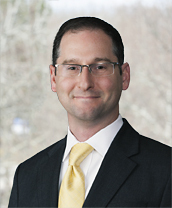 Michael Nowina is a member of the Firm’s Dispute Resolution and Global Financial Restructuring & Recovery practice groups. Mr. Nowina has a diverse civil litigation practice, with a focus on fraud recovery, insurance defence and insolvency law. Mr. Nowina has appeared before all levels of courts in Ontario and regularly appears on matters on the Commercial List in Toronto. Glenn Gibson is a member of Baker McKenzie’s Litigation & Government Enforcement Practice Group in Toronto. She joined the Firm in 2015 as a summer student and completed her articles of clerkship in 2017. 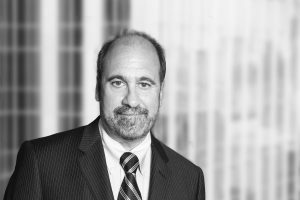 Glenn acts for various clients on contractual disputes, jurisdictional disputes, commercial class actions, matters involving fraud and commercial arbitration. She is a contributor to www.canadianfraudlaw.com, www.globalarbitrationnews.com, and the Baker McKenzie International Arbitration and Litigation Newsletter. As reported in Coast Mountain News, this month marks the one-year anniversary of the October 13 oil spill in Bella Bella, British Columbia. With the community’s recovery efforts undermined by government and Kirby Corporation’s refusal to take responsibility for the spill and to cooperate in its aftermath, the nation says it has no option but to turn to the courts. Kirby Corporation and government have kept information secret about what occurred on October 13, 2016 when the Nathan E. Stewart grounded, sank and spilled oil into Gale Pass. The Heiltsuk Tribal Council made numerous separate requests for information to the polluter (Kirby Corporation) and various government agencies, including Transport Canada, the Transportation Safety Board, and the Canadian Coast Guard. Those requests were largely denied or ignored. The Nation claims this secrecy and lack of collaboration has continued throughout the post-spill recovery. 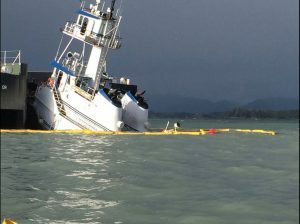 The nation is preparing to take legal action, aiming to recover damages suffered by its members as well as to examine the actual state of Canada’s “world class” oil spill response system. The existing oil spill response framework excuses the polluter and government from full responsibility for oil spill impacts on Aboriginal rights otherwise protected by the Constitution. As such, the government of British Columbia and Kirby are not required by law to do comprehensive impact assessments of the oil spill. To date, they have rejected multiple Heiltsuk requests to participate in a study of the current and long-term impacts of the oil spill on the health of the ecosystem and marine resources and the social and economic consequences associated with the loss of harvest and use of the impacted area. Instead, Kirby Corporation and the BC Ministry of Environment are proposing a limited environmental assessment covering a minority of the area and species affected. 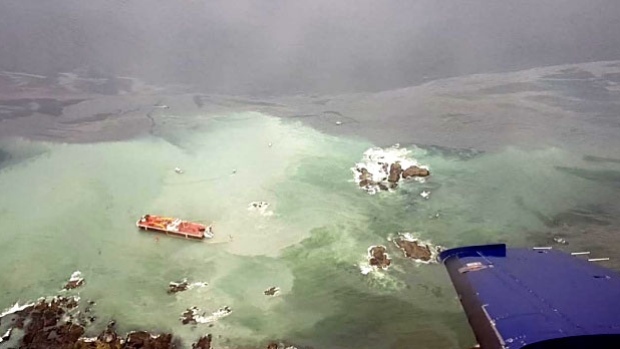 Analyses of the oil spill response have revealed massive safety and planning oversights by the polluter and federal and provincial government regulations. They include: a lack of spill response materials; ineffective booms and delays in employing them; a lack of safety instructions and gear for Heiltsuk first responders exposed to diesel and dangerous marine conditions; and confusion over who was in charge in the early hours of the oil spill. The Heiltsuk Tribal Council expects the results of the various impact assessments, legal analyses, and evaluations to materialize in the coming weeks. In a highly anticipated decision for the valuation of contaminated property in British Columbia, the BC Court of Appeal overturned a decision of the BC Supreme Court and set out how contaminated property should be assessed for tax purposes. The case involved a Brownfield – a contaminated commercial property with potential for economic redevelopment. The property in question had been operated as a retail gas station, automobile dealership, and repair shop. The soil on the property was contaminated, and the contamination had spread to neighbouring properties. The owner of the property was in considerable financial distress. In addition to tax arrears, legal bills, and accounting bills, she was defending a claim from the owner of a neighbouring property. She therefore arranged to sell the property to this owner through a share purchase agreement for $42,363.24, which was sufficient to cover her debts. She also obtained a full indemnity from any legal liabilities she might have in the future regarding the contamination. The existing structure on the property was renovated and converted into income-producing multi-tenant commercial retail units. In 2013, the property was assessed for taxation purposes. The assessor had valued the land and improvements at $975,000. 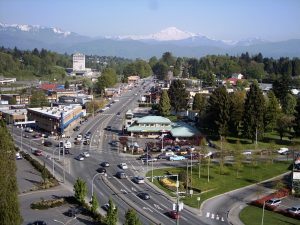 The property owner, Victory Motors (Abbotsford) Ltd. (“Victory Motors”), appealed, and the Property Assessment Review Panel reduced that assessment to $500,000. Victory Motors appealed to the Property Assessment Appeal Board (“Board”), claiming the property had no value. The Board reinstated the original assessment. The owner appealed again, to the Supreme Court of British Columbia. That court found that the Board had erred in law, and remitted the matter to the Board for reconsideration. The Assessor appealed that decision. The Court of Appeal allowed the Assessor’s appeal and restored the Board’s decision. The issue before the Court was this: how does one properly assess the value of contaminated land for taxation purposes? 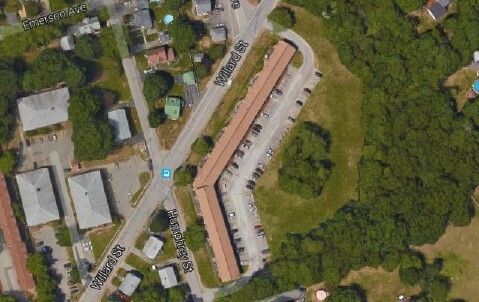 The assessor determined that because renovation into a two-storey structure would require remediation, the best use of the property was as it currently stood: a one-storey commercial structure. The assessor’s estimate did not otherwise take into account the presence of contamination. Their approach is known as the “income approach,” whereby a property’s value is determined according to the subject property’s highest possible annual net income. The Board agreed with the assessor’s method and ultimate evaluation. The Supreme Court, however, held that the Board had erred in law. The chambers judge found that the assessor had ignored the property’s brownfield status, which any potential buyer would have in mind as a risk. The chambers judge further held that the land should be valued not according to value for the present owner, but according to the market in accordance with the BCCA’s decision in Southam Inc. (Pacific Newspaper Group Inc,) v. British Columbia (Assessor of Area No 14 – Surrey/White Rock), 2004 BCCA 245 [Southam]. Because there was no evidence a competitive market for the property existed, the Board’s decision was therefore unreasonable. However, after the BCSC decision was released, a five-judge division of the BCCA overturned Southam in Assessor of Area #01 – Capital v. Nav Canada, 2016 BCCA 71, leave to appeal refused [Nav Canada]. Nav Canada supports the Board’s income-based approach. Going forward, property owners should be aware that even though there are no purchasers lining up to bid for a brownfield, that property may still be assessed at a high value for taxation purposes. Luke Dineley is a partner in both our Insurance and Tort Liability Group and Environmental Law Group in Borden Ladner Gervais LLP‘s Vancouver office. Luke focuses his practice on civil litigation, with an emphasis on insurance and tort law, and environmental law. In the area of environmental law, Luke’s experience includes representing and advising clients on a wide variety of contaminated site issues relating to both commercial and residential properties — including cost-recovery actions on behalf of plaintiffs and defendants. In addition, Luke has represented and advised major companies on environmental regulatory compliance, emergency spill responses, and environmental prosecutions. Luke is also an executive board member of the British Columbia Environmental Industry Association and frequently publishes and speaks in the area of environmental law. Jacob Jerome Gehlen is an articling student at Borden Ladner Gervais LLP‘s Vancouver office. He has a Juris Doctor law degree from the University of Toronto and a Bachelor’s degree from McGill University. A recent decision from the Yukon Territorial Court is a reminder of how important communication between the regulator and the regulated can be. At the same time, perhaps as an illustration of the power of fate, at least in a narrow set of circumstances, communication may make no difference at all. 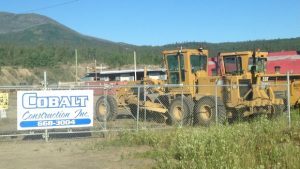 In R. v. Cobalt Construction Inc., released September 14, 2017 the sole shareholder/director and his road construction company were charged with failing to provide a detailed decommissioning plan in accordance with the conditions of a permit for a facility designed to accept, store and treat dirt contaminated with petroleum hydrocarbons. The defendants failed to establish a due diligence defence to the charges because of poor communication with the authorities, but were acquitted anyways because it was impossible for them to comply given the weather conditions during the time frame for compliance. The regulator’s plan required sampling results be obtained after contaminated piles of dirt were tilled as configured. The soil was to be mixed two weeks before the samples were taken for analysis. The sample results would then inform further elements of the plan including identification of an appropriate receiving facility. The defendant director testified that it would have been impossible to till the soil as required within the time frame set out by the regulator because snow on the ground would have prevented use of the excavator and the ground would have been frozen requiring a ripper to be used to break up the ground, thereby destroying the configuration of the piles. The defendants had in the initial plan set out dates for sampling beyond the time frame required by the regulator, but failed to offer any explanation as to why the sampling could not be done within the imposed time frame. Further, the defendants at no time sought an extension of time for performing the sampling. The Crown prosecutor argued that the authorities were under no obligation to notify the defendants that their initial plan was insufficient to satisfy the regulatory requirements. The Court observed that the more detailed the decommissioning plan provided, the more likely fairness would demand notification by the authorities of the deficiency and an opportunity to correct it. Conversely, the less detailed the plan, the less likely fairness would demand notification. “To decide otherwise would mean that a defendant could evade responsibility and delay consequences simply by making a cursory attempt at compliance.” The Court suggested that if the defendants had fleshed out the plan and included options for receiving facilities and restoration that would be contingent on the sampling results, this would trigger notification by the regulator that the plan was deficient. However, the initial plan provided was so clearly and objectively deficient on its face that the regulator had no obligation to notify the defendants that the plan did not comply and did not further require the authorities to give the defendants an opportunity to rectify the deficiencies prior to laying charges. The Court consequently rejected the defence of due diligence. Nevertheless, the Court acquitted the defendants, accepting the defence of impossibility, notwithstanding the absence of due diligence.